Community Leadership Training: OC Human Relations is a certified trainer for the PEW Foundation for Civic Change Curriculum and has offered this training to communities throughout Orange County. 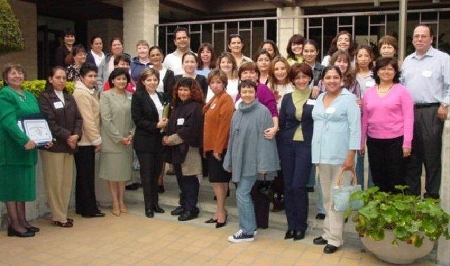 We also custom tailor leadership trainings for communities in both Spanish and English. Through our Parent Leadership Institute, OC Human Relations has trained over 1500 minority parents throughout Orange County school districts to help parents navigate the school system and be advocates for their children’s education. We also offer a Parent Leadership Institute Training of Trainers with the purchase of our curriculum for groups of 20 or more available in Spanish and English.